Win a Stanton RadBooster RB 600 radiator booster! 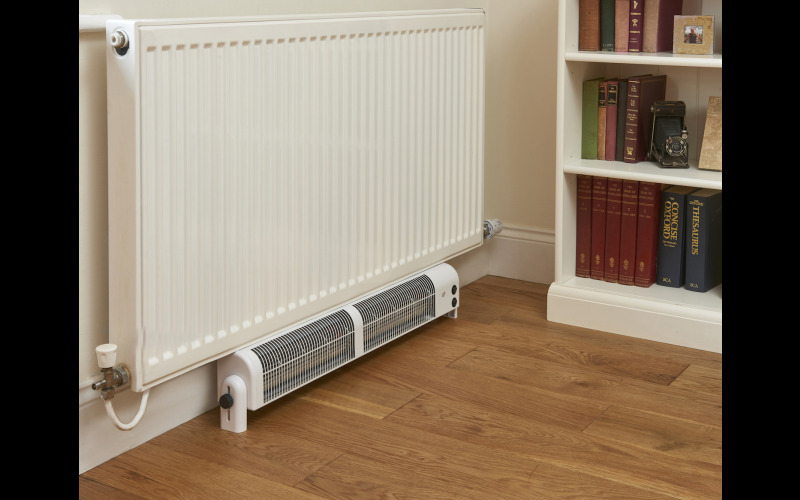 Sitting underneath most types of radiator, a Stanton RadBooster units' tangential fan blows unbrokenly across the length of its grille, rapidly speeding up heat distribution around a room, making you warmer, faster. Designed to work straight from the box, units can be fitted in less than a minute and don’t require professional installation or even any real DIY ability. All you need to do is place the unit under your radiator and plug it into a nearby socket. The Stanton RadBooster is available in three sizes, the 400 model fits under standard-sized radiators, while the RB 600 and RB 800 are designed to suit longer versions. All Stanton RadBooster units are engineered and assembled in the UK using high-quality components and materials - they can be purchased direct from Stanton RadBooster's website, which can be found easily using Google search. *Third-party testing conducted by the Building Service Research and Information Association (BSRIA) found that RadBooster units are capable of raising the air temperature in a room from 18 degrees Celsius to 21 degrees Celsius in 27 minutes. This can be compared to the 1 hour and 8 minutes required for a standalone radiator to raise the air temperature in the testing room from 18 degrees Celsius to 21 degrees Celsius. ** Tests conducted in 2017 and based on average heating use in a British winter suggest the Stanton RadBooster may save an average homeowner over £160 on their energy bills per annum. The method and reasoning behind this result is listed below. Testing was conducted in the South of the UK and theoretically, in colder areas the potential saving may be higher.